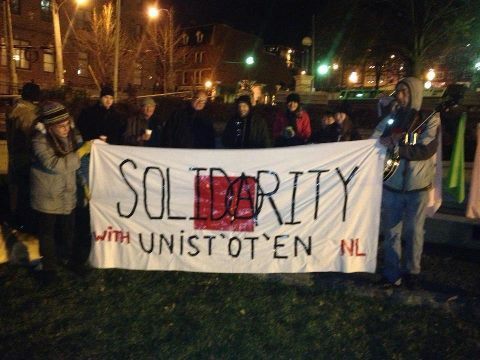 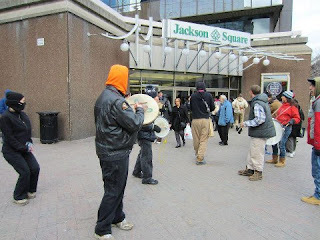 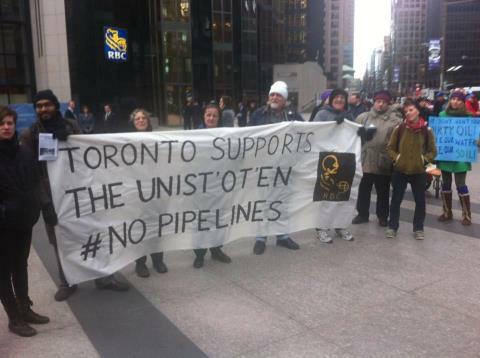 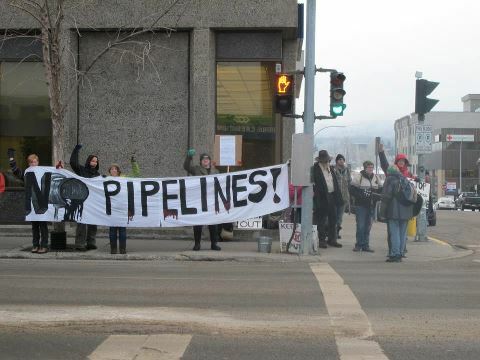 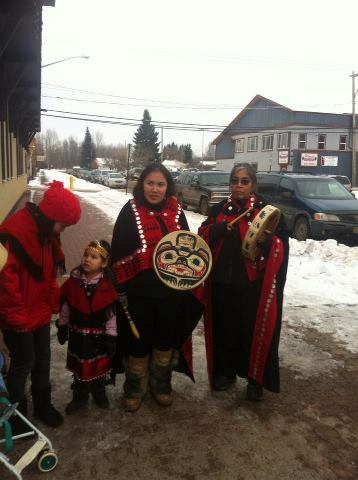 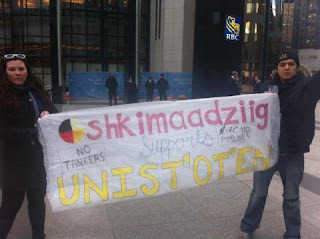 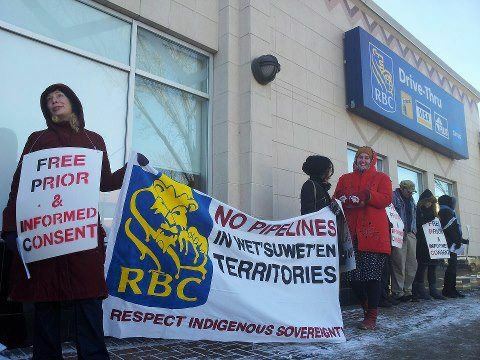 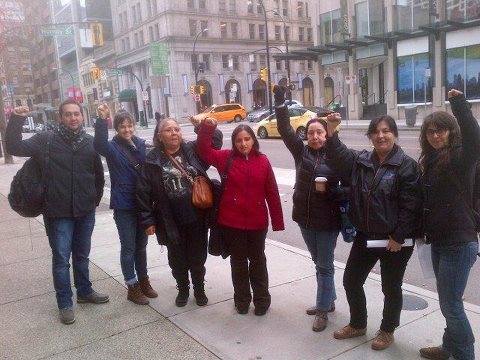 Shkimaadziig showing their support with the Unist'ot'en!! 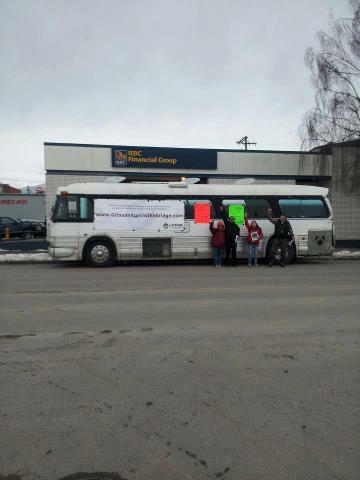 Terrace BC shows their support with a BUS! 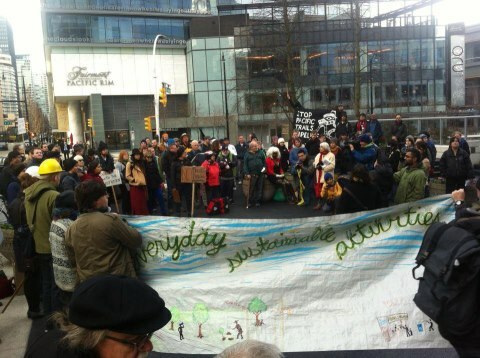 a BUS!! 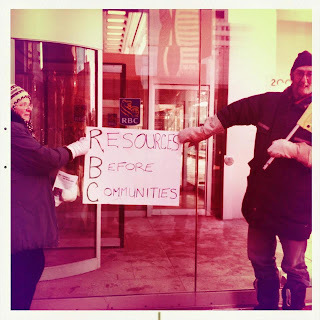 parked in front of the RBC building! 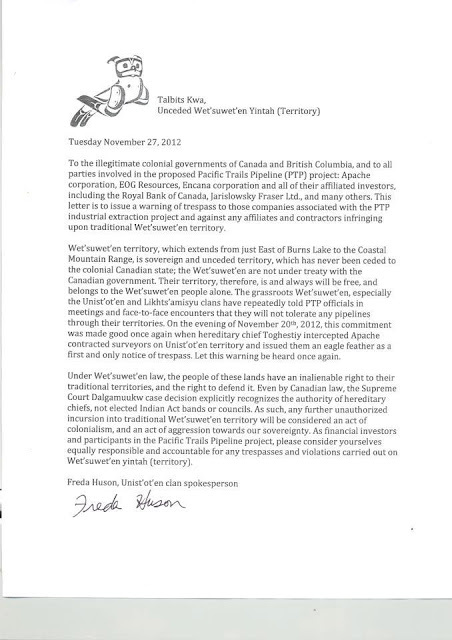 Thanks Gitxsan Unity Movement!! 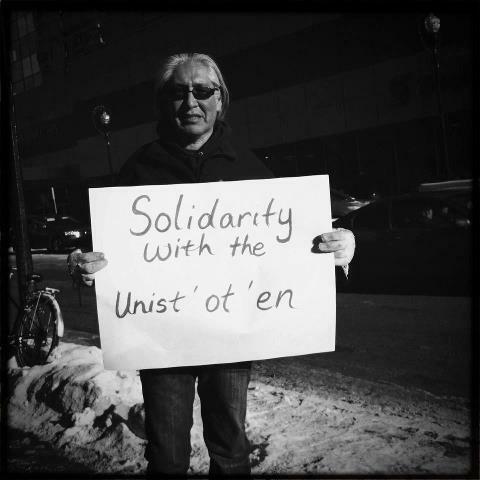 the Unist'ot'en today as well! 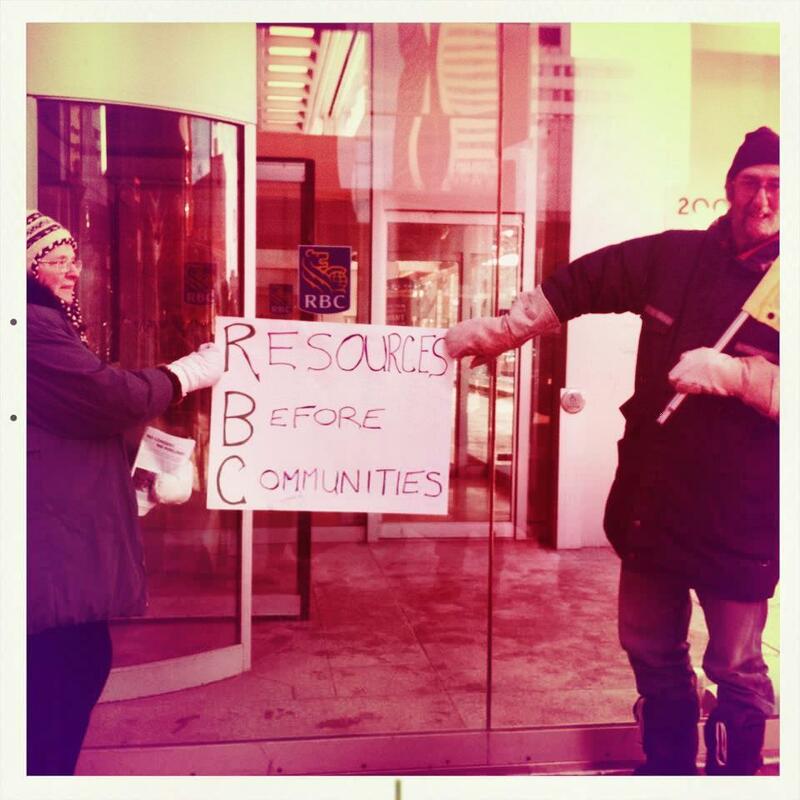 Prince George Antes up at the RBC building and at CSTC!! 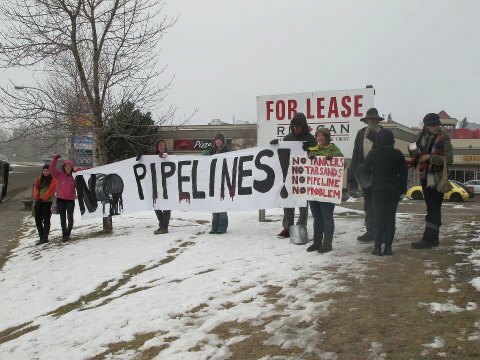 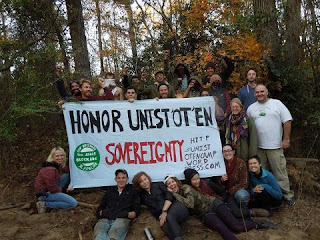 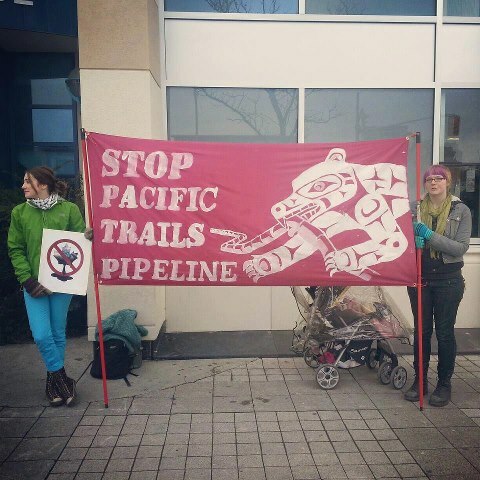 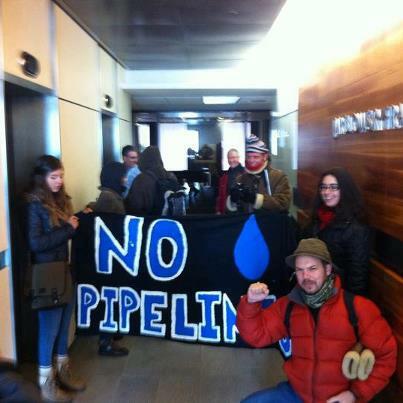 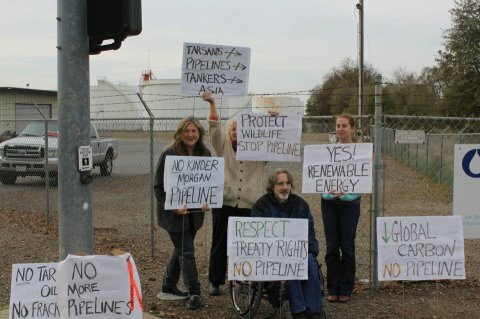 Kinder Morgan plant in solidarity with the Unist'ot'en Camp. 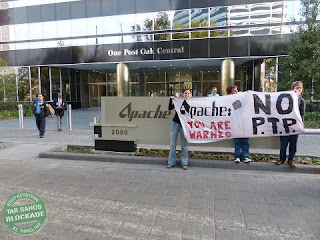 Apache Headquarters in Houston, TX! 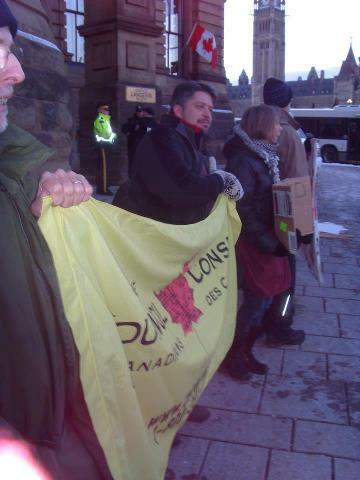 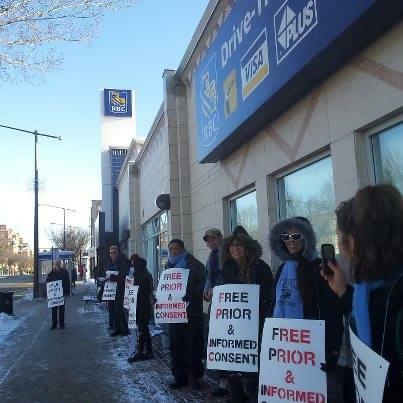 Council of Canadians in solidarity! 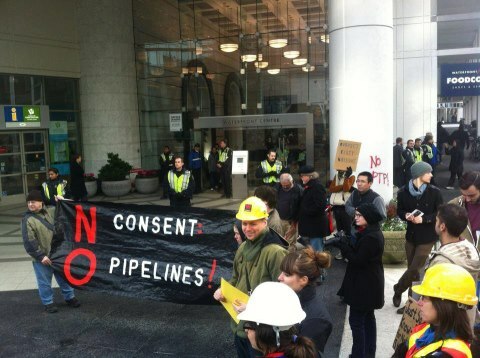 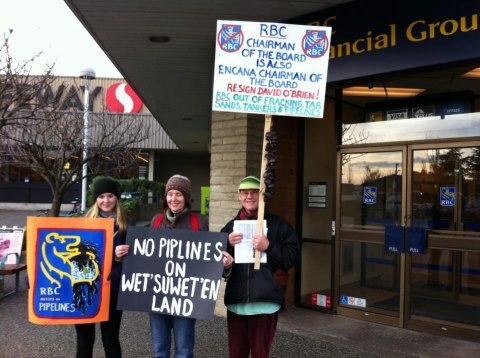 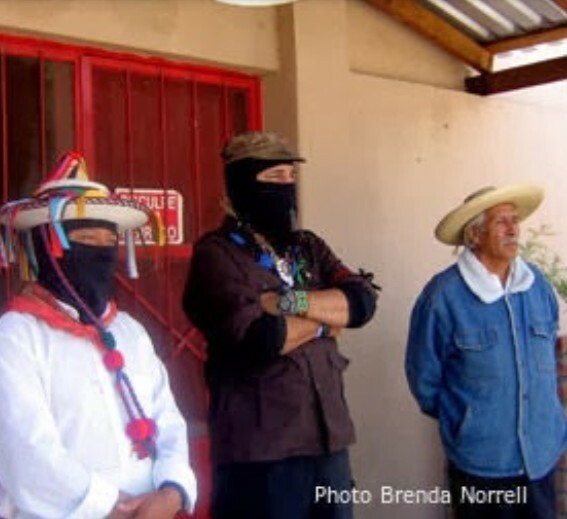 Actions are taking place across Canada and internationally on Tuesday November 27 in support of the Unis’tot’en, who grabbed national headlines when they evicted shale gas pipeline surveyors from their territories in the interior of BC last week. 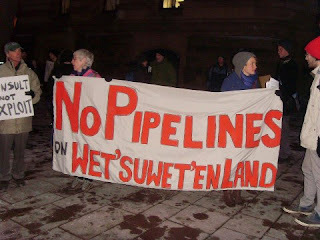 The Unis’tot’en have made it clear that no proposed pipelines will proceed in Unist’ot’en territories and that corporations, investors, and governments have no jurisdiction to approve development on their lands.